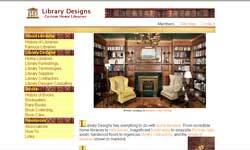 LibraryDesigns.com: This website features several of our projects, including on their home page! There are tons of ideas for the perfect library and it's furnishings. The best value high quality products can be found at our web site. Purchase with confidence on our secure ecommerce platform. Extra tall, stainless steel finished, all types of wood, wooden & metal and kitchen counter seating from carefully selected manufacturers. You can also customize your purchase by choosing your fabric options and metal finishes. Suitable for both residential and commercial projects. Call today to discuss your requirements! Artisans has one of these chairs in our shop (Stanley's house) and Eric is planning to get another one this year for his house. The advent of such equipment helps us produce our work, as slumping over a carving bench, loading materials, and moving around furniture all take a toll on our backs. These chairs help to revitalize us! When your library is installed, your custom office is built, your game room is configured, the fire is burning within the new mantle, and your bar is fully stocked ... what's left? The ultimate massage chair is the next logical step! Two Great Sites: Bar Stools & Commercial Appliances: No bar is complete without stools, and of course the appliances. These links lead to a variety of wood, metal, wrought iron, modern, classic, and retro barstools ... as well as all sorts of commercial under counter refrigerators and other toys. Welcome to Buried Treasures Antiques and Collectibles! Located in Andover, New Jersey, Buried Treasures sells antiques at The Scranberry Coop. Items range from books and ephemera to vintage jewelry, antique household items,vintage dolls, and collectibles. Items can also be purchased via the web from Buried Treasures' online eBay Store "Captains Treasures". New to ValuedVintage.com is our articles section. Here you can find valuable information on buying and selling antiques and collectibles. Articles and resources are collected from around the web and are only taken from the top professional sources. Articles are updated frequently, so return often to get the latest information! Mohr & McPherson is a direct importer and purveyor of fine furniture, hand knotted carpets, and accessories from around the planet. Our inventory contains the most extensive collection of its kind in the Northeast. We are not able to keep a complete listing posted of all of our pieces due to the huge quantity and rapid turnover of goods. We encourage you to visit one of our showrooms to see the majority of our one of a kind pieces. PotRackSource.com carries hundreds of pot racks from all the major brands. 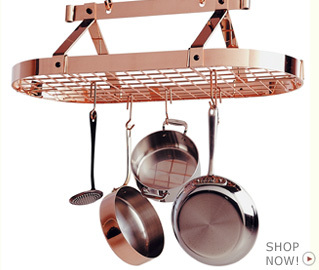 Find hanging pot racks, wall pot racks, lighted pot racks, and more at Pot Rack Source! 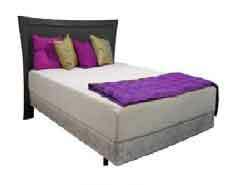 Beverly Hills Bed is a custom mattress and bedroom design company with a unique line of custom made mattresses. Their mattress lines are hand picked, tested, and inspected by their owner and quality control department. They have placed our mattresses in the homes of countless entertainment and sports celebrities throughout Southern California and earned a reputation of flawless service. They keep up with the next new trend in the bedding industry and always make an aggressive effort into bringing that trend to the public at a price that makes sense. They have a mattress that anyone can acclimate to depending on your likes; memory foam, latex, air beds, and adjustable beds they stock everything. Because of their lean operating cost they take pride in selling our high end mattresses at a cost lower then any retail store. They started this business literally one mattress at a time and in the first year alone made all of their profits from referrals, and word of mouth, never advertising once! DIY DOOR HANDLES Online Sales company is stockists of the largest selection of Door Handles, Architectural Ironmongery and Accessories. Our ranges consist of Door Handles on Plates, Mortice Knobs, Door Handles on Round Roses, Letter Plates, Numerals, Door Knockers, Escutcheons and many other items. We offer a variety of finishes from Polished Brass, Polished Chrome, and Satin Nickel to the striking Duo finishes of a mix of Black Iridium & Satin Nickel and others.